Opportunity Zones: Help for Poor or Tax Cut for Rich? Could an influx of private sector investment fuel long needed economic growth into our most distressed neighborhoods? Or will a new community development program designed to drive private investment to certain areas simply advance the negative impacts of displacement and gentrification? According to research one in six Americans live in economically distressed communities. As a result, the country’s economy is dependent on a handful of communities for growth. At the same time, in stocks and mutual funds alone, U.S. investors hold trillions of dollars in unrealized capital gains. Viewing unrealized capital gains as a significant untapped economic development resource. With this in mind, as a part of the Tax Cuts and Jobs Act of 2017, Congress has established a new community development program now known as Opportunity Zones to drive long-term private sector investment into low-income urban and rural communities nationwide. Through private sector investment vehicles that invest at least 90 percent of their capital in these Opportunity Zones, called Opportunity Funds, investors can receive a variety of tax incentives on their unrealized capital gains, ranging from temporary tax deferral to permanent exclusion from taxable income of capital gains from the sale or exchange of an investment. As a part of establishing the program, every state or territory was allowed to designate up to 25% of its census tracts that meet the minimum requirements as Opportunity Zones. Across the country, there are now 8,700 census tracts that have been recently selected by state governors and certified by the U.S. Department of the Treasury to be officially designated as Opportunity Zones. Already booming Downtown Tampa is one of 32 designated Opportunity Zones in Hillsborough County. Up to 5% of census tracts that do not meet the definition of a low income community can be designated under an exemption if they are contiguous with a designated low-income community. However, a quick look across the country suggests that not all Opportunity Zones are equal or representative of low income communities where the private sector needs significant tax relief to drive economic development. Home to the Cleveland Clinic, Case Western Reserve University and University Hospital, Cleveland’s University Circle is now designated as an Opportunity Zone. In Detroit, long economically distressed areas of the city find themselves omitted while an area that’s become Dan Gilbert’s personal redevelopment playground and home to a Whole Foods has been designated. This is because up to 5% of census tracts that do not meet the definition of a low income community can be designated under an exemption if they are contiguous with a designated low-income community. Of the 8,700 census tracts designated as Opportunity Zones, 427 are located in Florida. This number comes as a result of Governor Scott narrowing down an initial list of more than 1,200 requests from municipal and county governments, regional planning councils, nonprofits, developers, investors and others. Of that number, 67 are located in Miami-Dade, 32 in Hillsborough, 30 in Broward, 26 Palm Beach, and 24 in Orange. 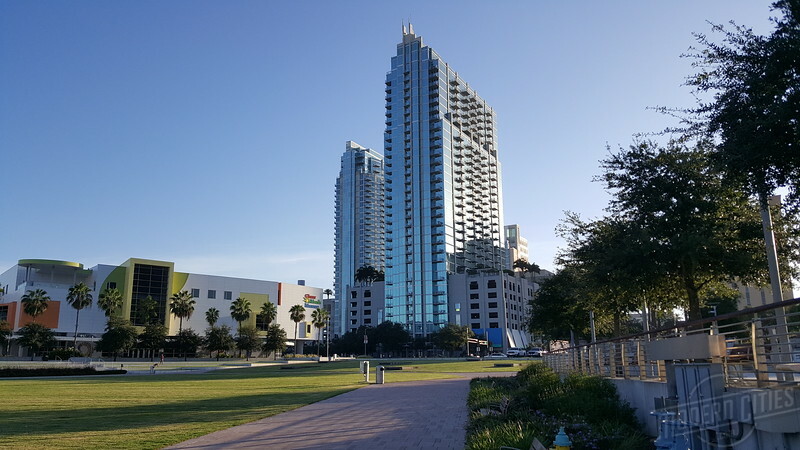 In Tampa, designated Opportunity Zones include Downtown, Ybor City and the swanky International Mall near Tampa International Airport. In Miami, they range from the long economically distressed Overtown neighborhood to the ritzy Miami Design District. Of interesting note, land bordering Brightline stations in Miami and Fort Lauderdale are also designated as Opportunity Zones. Jacksonville’s Mixon Town is now a designated Opportunity Zone. Opportunity Zones are a new community development program established by Congress to drive long-term private sector investment into low-income urban and rural communities nationwide. In Northeast Florida, 34 census tracts that are designated as Opportunity Zones, including 19 in Duval County. While the program may be for stimulating economic investment in low income urban and rural communities, well known projects where taxpayers are already contributing millions in local tax incentives are included. According to a March 2018 Florida Politics article by A.G. Gancarski, some of the local tracts were selected for strategic reasons. These tracts include two in the Cecil Commerce Center area, Arlington and Mayport. In Downtown Jacksonville, the Shipyards, Metropolitan Park and TIAA Bank Field now all fall within designated areas. Urban communities designated as Opportunity Zones include the Eastside, Durkeeville, the Rail Yard District, St. Nicholas, New Springfield, Brentwood, Norwood, Lackawanna, Mixtontown and the Philips Highway corridor north of Emerson Street. Many of these areas were partially selected due to their infrastructure, ability to absorb private capital and having community redevelopment agencies that can now benefit from the program. 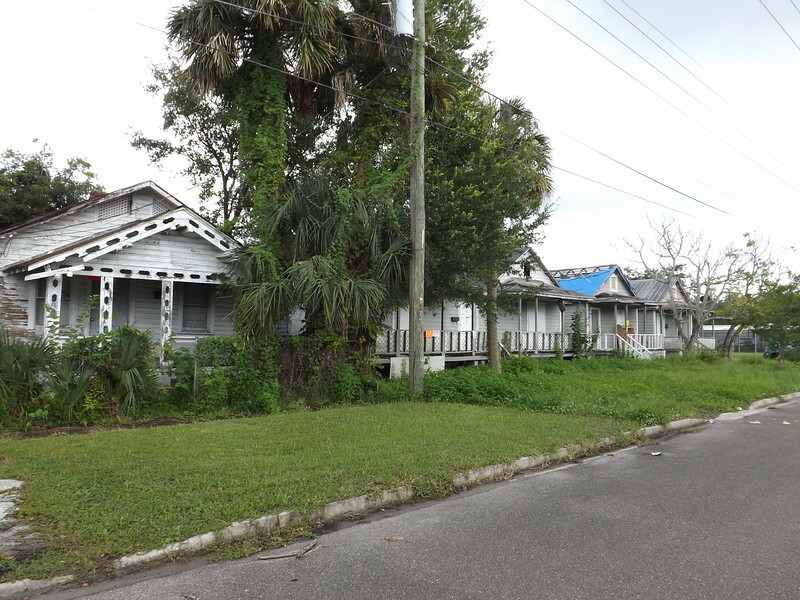 Outside of Duval County, newly designated Opportunity Zones include Nassau County’s State Road 200 corridor between Yulee and Fernandina Beach, the State Road 16 corridor east of I-95 in St. Johns County and St. Augustine’s Lincolnville Historic District. 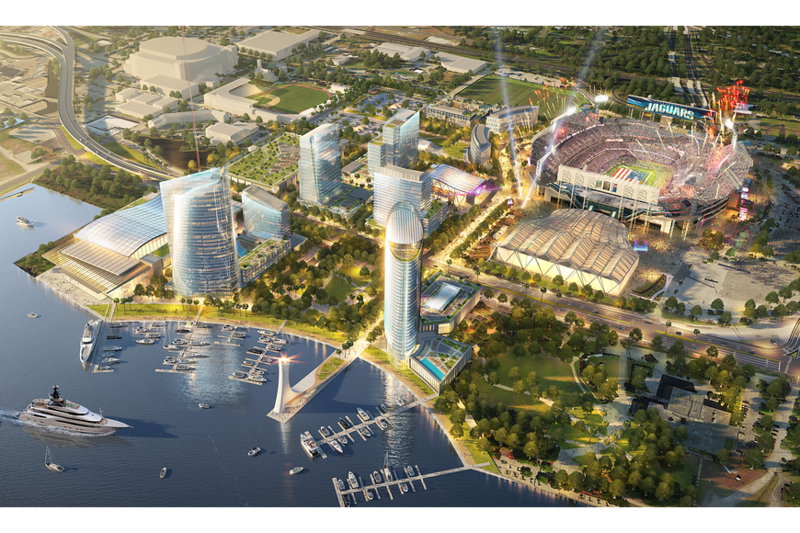 Proposed infill development around Jacksonville’s TIAA Bank Field includes taxpayer funded projects that come at the expense of the city’s downtown core in the form of an entertainment center replacing the Landing and the Jacksonville Electric Authority abandoning the heart of the city for a new headquarters a mile away. Now designated as an Opportunity Zone, additional tax breaks are available for investors that aren’t available in other areas of the urban core. However, an article published by City Lab, questions the program and suggests if we use history as a guide, the only thing Opportunity Zones will result in is tax giveaways for investment that would have occurred anyway. It’s hard to argue with that position with the Shipyards, Flagler College (St. Augustine) and a section of Philips Highway where hundreds of luxury apartments already under construction are designated Opportunity Zones. In the case of St. Augustine’s Lincolnville, once called Little Africa, it is already struggling with the negative impacts of displacement from gentrification. Without additional safeguards in place, an extra infusion of investment into a community already suffering from market rate displacement will only help kick gentrification up into high gear. Billed as a vehicle to provide a critical boost to true economically depressed communities, tax benefits flowing to the wrong places or paying for the wrong things would be a nightmare scenario for the program. A nightmare scenario locally would be the Opportunity Zone designation driving private capital to areas like the Stadium District at the expense of Downtown Jacksonville’s historic core, which is not a designated area for these additional tax breaks. 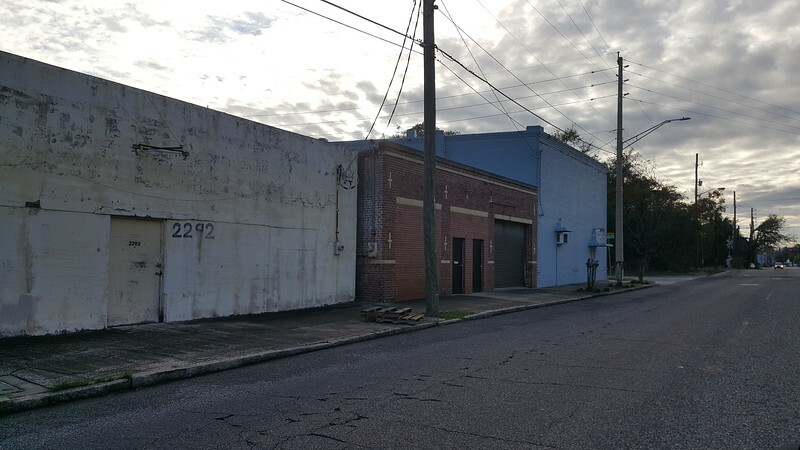 Given its proximity to redevelopment initiatives around TIAA Bank Field, Jacksonville’s Eastside is a historic black neighborhood where residents could be displaced and the community could lose its historic sense of place and cultural identity if potential negatives associated with the Opportunity Zone program outweigh the positives. Ultimately, time will tell if the Opportunity Zone program improves economically distressed communities or simply assists in serving as a tax break for the wealthy, ushering in rapid gentrification in areas where private capital is already being invested. Nevertheless, excluding the economy falling apart, it does not take a rocket scientist to predict that sites already a redevelopment priority of local officials and politically connected investors will blossom first. On the other hand, the program does offer the opportunity for proactive residents, investors, community development agencies, non-profits and business owners to benefit from the tax breaks included in the program. With this in mind, residents, advocates and organizations seeking to mitigate the negative impacts of displacement while also revitalizing their communities, must work with their political representatives to develop regulatory safe guards to guide new investment in a manner that builds upon the community as opposed to outright replacing it.